I love the symbolic fresh start of a New Year. I like evaluating the previous year and making goals for the coming year. This year was no different. 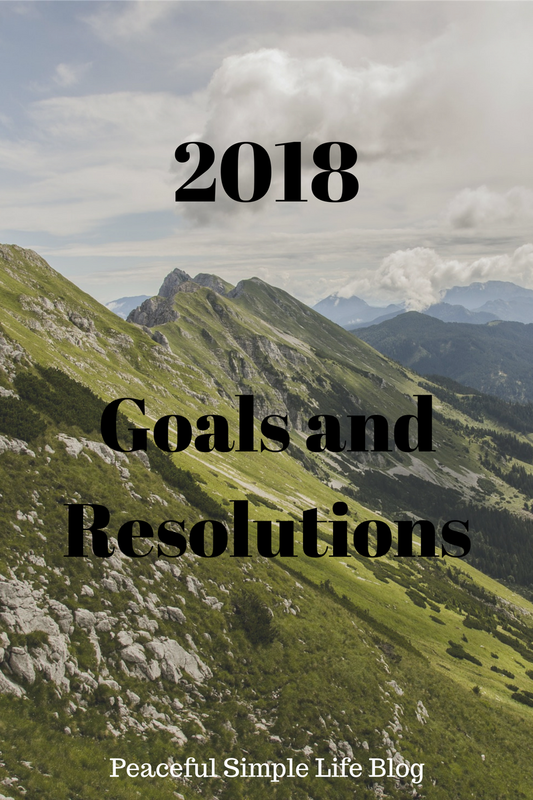 I worked on my goals as the 2018 approached. Today I am going to share those goals with you and my word of the year. 1.) Send more happy mail. I love getting mail. I don't mean bills and flyers, but actual mail. Texting and email has sadly replaced much of the 'happy' mail that used to come by post. I understand the change. Snail mail is expensive and not nearly as convenient as technological communication. I do miss it, though. Miss. E has really started to take interest in our mail and she loves making pictures for our family and friends. She often requests that I send her pictures and 'letters' in the mail. This year I decided to just that. A card or note with an adorable drawing from a 3 year old might bring some sunshine to our loved one's day. 2.) Catch up photo books. I am ashamed to say that the most recent photo book that I have put together is from the Easter before Miss. E's 1st birthday. I just never seem to get to making new photo books. I plan to catch up this year. I would like to have all of our photo books up to date by the end of the year. 3.) Upload photos monthly. I made this resolution to help me stay on top my photo books from now on. I am pretty good at dumping my photos on my laptop, but they don't get any further than that. I plan to upload my photos to a in-progress photo book monthly. 4.) Organize Blog and Implement Schedule. I have some structural changes and a few ideas that I would like to bring to the blog this year. I have also worked out a schedule that I think will work for the blog. I want to bring these changes to the blog and settle into a routine this year. 5.) Embrace frugality. I want to work on being more frugal with our money this year. I have taken an 18 month maternity leave from my job. We will have less income during this time so I want to focus on being intentional with the income that we do have. I am also hoping to put away some money for some family purchases that we would like to make. I have also chosen a word of the year for 2018. This year I chose the word adapt. We have experienced some big changes this year and I am definitely going to have a couple learning curves to navigate. I want to learn to be flexible this year and embrace the changes coming my way. What are your goals/resolutions for the new year? Did you choose a word of the year? Leave a comment below! I would love to hear all about it.